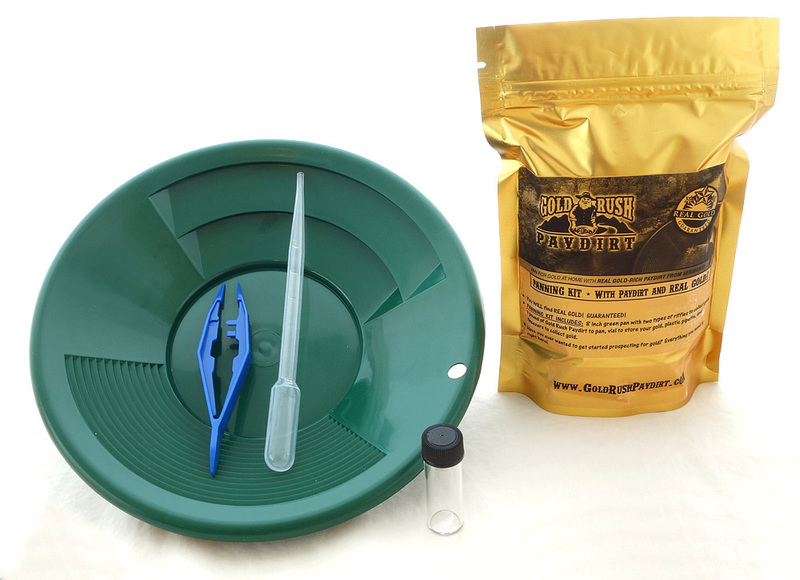 This small gold panning kit is great for kids, and is also an ideal gift to give someone Gold Fever and get them started gold prospecting! Kit includes: 8 inch gold pan with 2 kinds of riffles to aid in gold recovery, 1 pound of paydirt that contains REAL GOLD from Alaska's Copper River, a plastic pipette, tweezers, and a vial in which to store and display your gold. Complete panning instructions included. Shipped via Priority Mail.